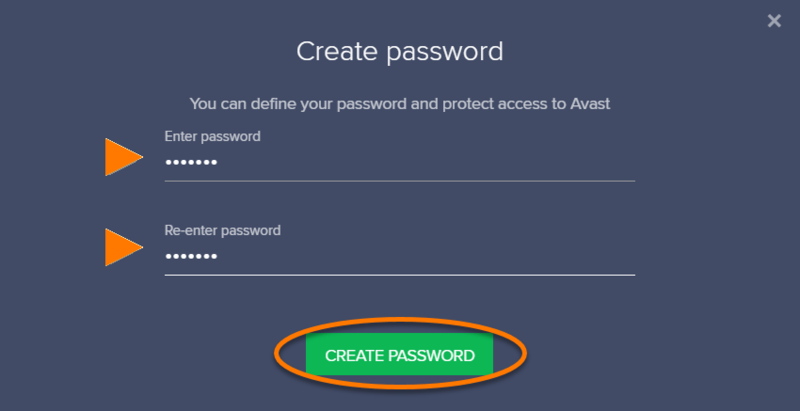 Ensure the General tab is selected, then select Password ▸ Create Password. 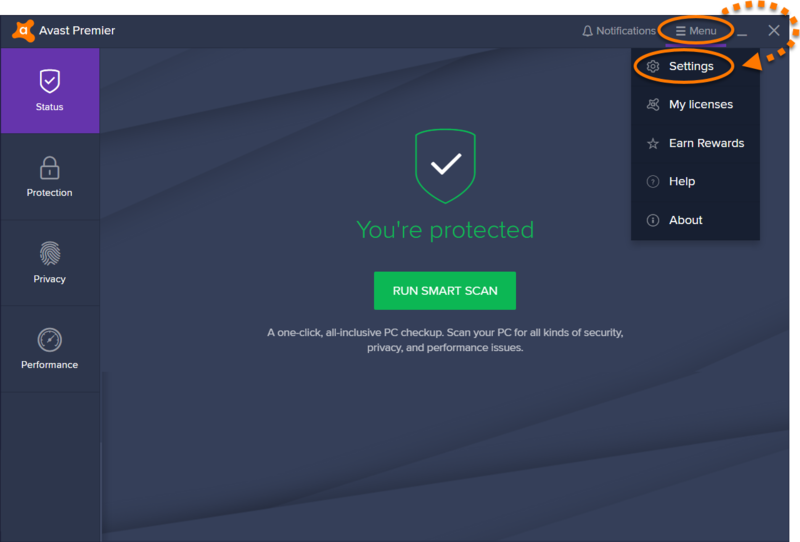 Define your password, re-enter it, and click Create Password to confirm. Change your password by clicking Change Password, or remove your password by clicking Remove password. 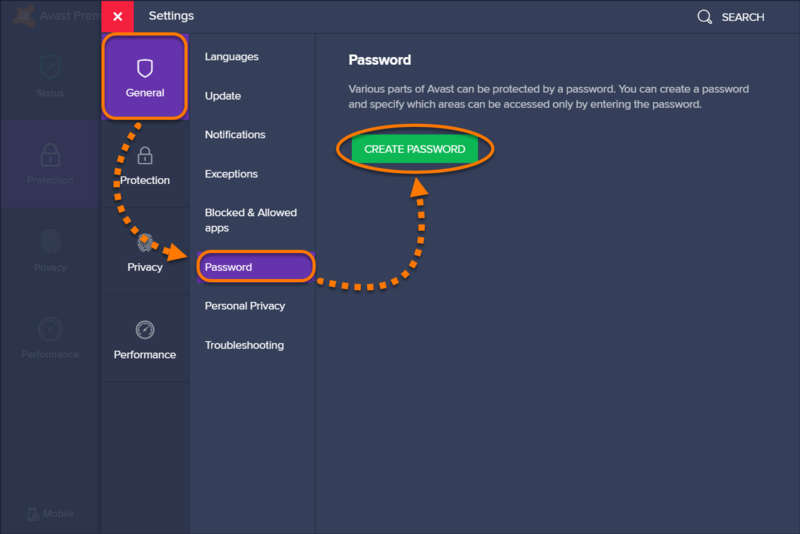 Protect only Settings: enable password protection for Settings only within Avast Antivirus. 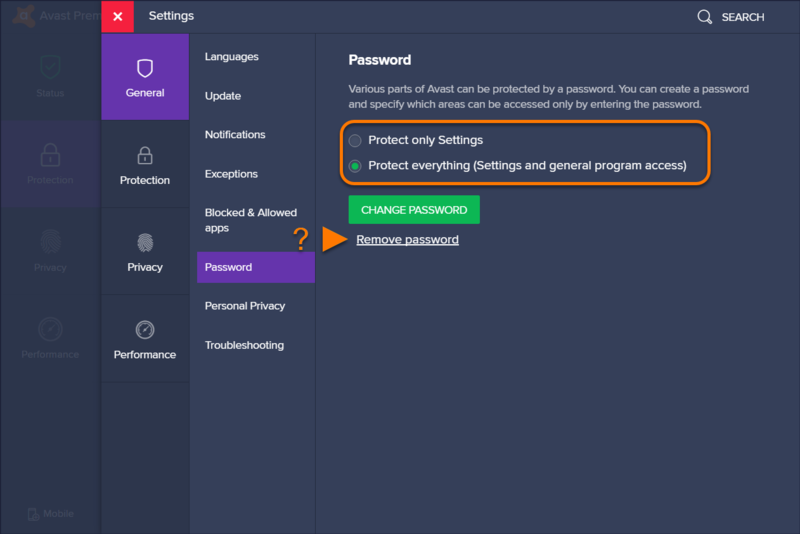 Protect everything (Settings and general program access): enable password protection for access to Avast Antivirus and Settings. When you attempt to access any of the password-protected areas, you are required to enter your password and click OK.